My very very very rare Allied Industries MBSS (Maritime Ballistic Survival System) Plate Carrier in coyote brown Yes! 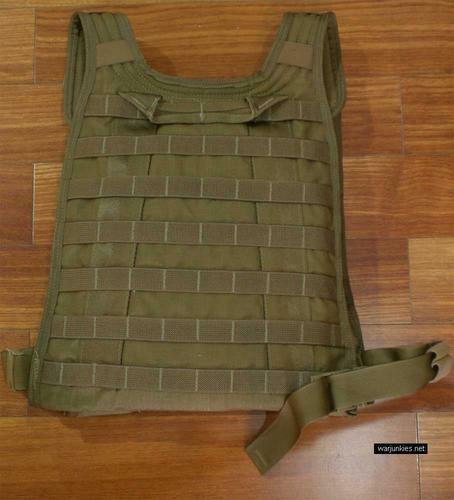 This is real deal Allied Industries MBSS Plate Carrier. NSN# 8470-01-516-8447. The Plate Carrier Vest features both comfort and durability in a modular system. The carrier can support ballistic plates. The new contoured cut allows for ease of movement and maximum space for pouch attachment. Constructed of 1000 Denier Cordura® fabric with SecureTack™ stitching. Quick attachment points on front shoulder of vest. Easy side attachments for quick donning.